Kids love Easter more than anyone else in the entire world. 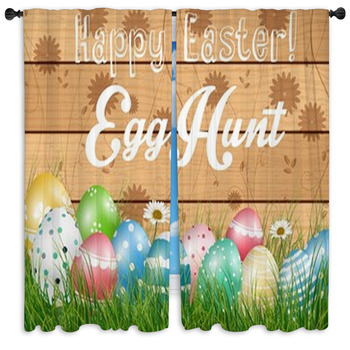 Their child-like wonder displayed in a wide-eyed smile and excited giggles makes it worth all the trouble and effort to hide Easter eggs for a fun hunting. 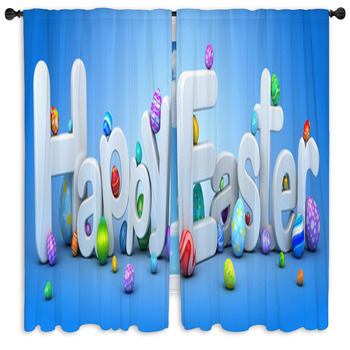 What makes Easter, and so all the other holidays, more special is that it only comes once a year, and that's what makes children across the country giddy with anticipation to celebrate it. Unfortunately, that's also the worst thing about it; it's a one-time thing every year. People have to actually wait for hundreds of days for the next celebration. Well, here's some good news for you. 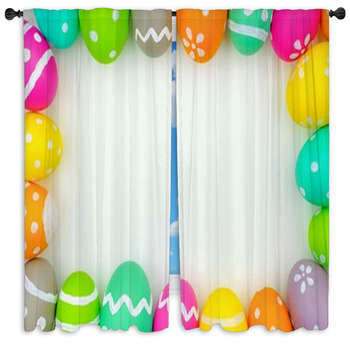 With these Easter window curtains, you don't have to wait for another year to have the Easter spirit; you can enjoy its essence every day of the year, or you can choose to step up your Easter game by having it all over your house. 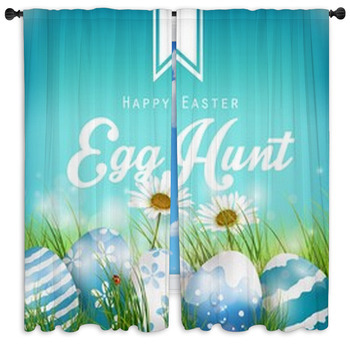 These drapes come with a various range of designs: from adorable and colorful Easter eggs and bunnies perfect for children to a more serious, dramatic, and calming break of dawn Easter fitting for adults, you will never run out of wonderful options to choose from. 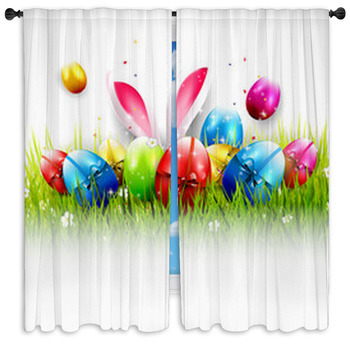 Try to imagine how awesome it would be to just have Easter in your house for the rest of the year, and even in your kids' room or in your own room! 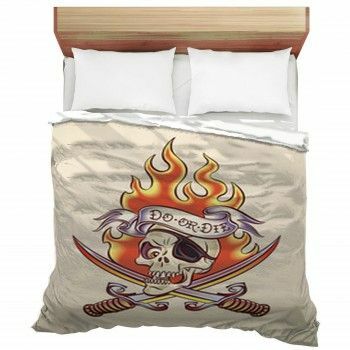 Well, come to think of it, these designs are great for a year-long celebration. 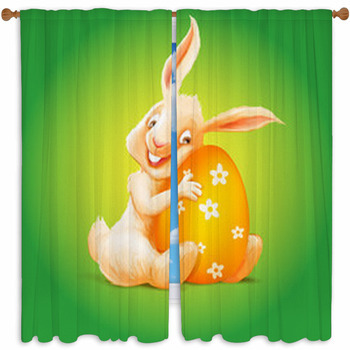 Now that's what you call the Easter spirit! 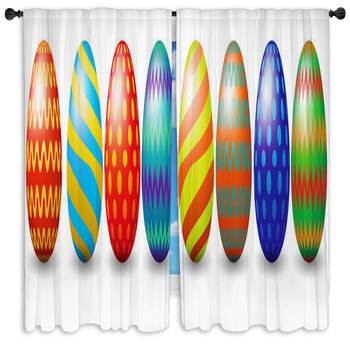 In fact, the layout in these curtains are so pleasing to the eyes that you would never want to take them down again, well except when you need to wash them, of course. 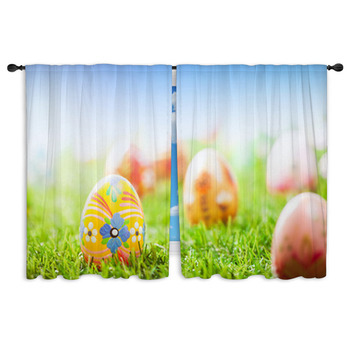 Not only do they bring style and glee to your home, it also perfectly represents what Easter is all about for kids and adults alike. 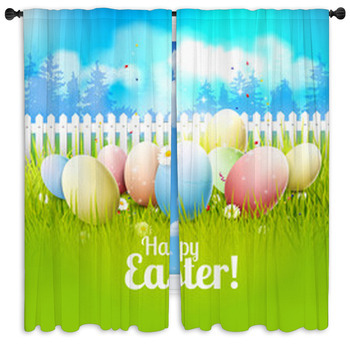 The brightly blended artistic pastel colors design to the wall of your room with tons of Easter eggs painted with a field of grass and flowers, and the relaxing hues and textures of the first light descending from glorious clouds only shows how the celebration is different from the perspective of a child and a grown man. The former sees Easter revolving around egg hunts, chocolate bunnies, and family, while the latter contemplates on the true and deeper meaning behind it. But either way, both are celebrated in a fashion that brings joy and togetherness in a family. 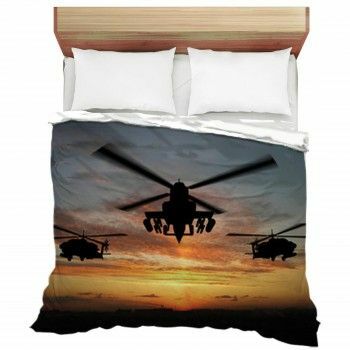 That's what these custom size window curtains captures in every single unique design. 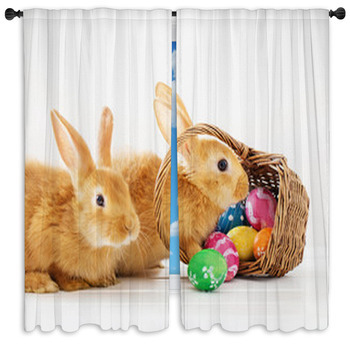 Hop on like a bunny and let your home embrace the spirit of Easter all year round with these wonderful collections of Easter custom size window curtains. 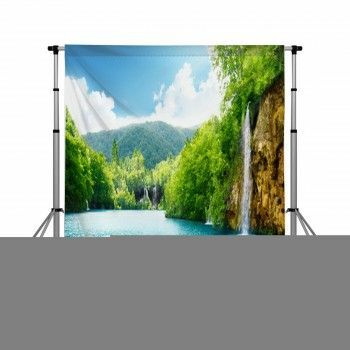 No need to go on a curtain hunt because with so much to choose from, you can immediately find what design fits your windows best and what layout suits your taste better than anything else.